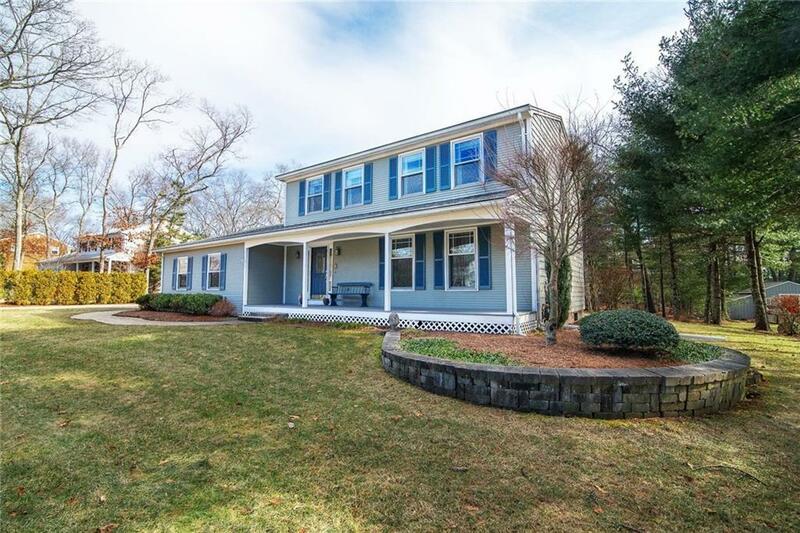 Bright & sunny Colonial in desirable Wood Estates North w/ open, airy floor plan & versatile living space is an entertainers delight! Kitchen, w/peninsula and floor-to-ceiling cabinets, is truly the "heart of the home. 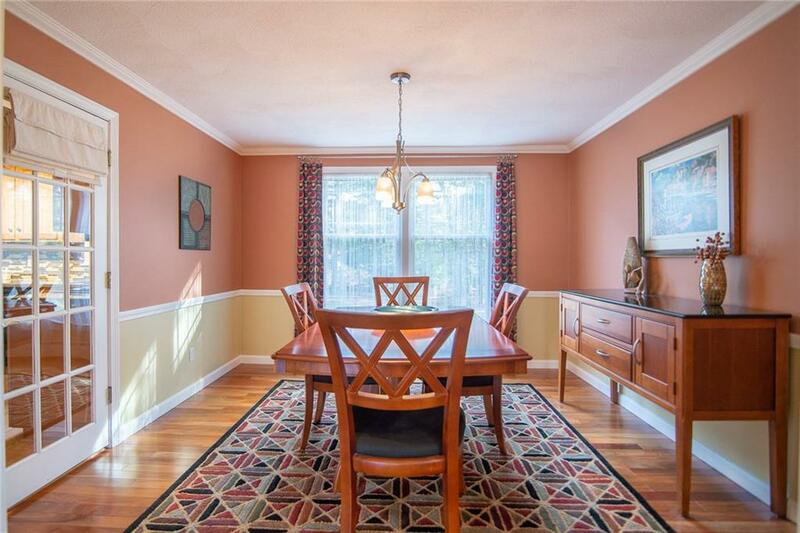 Open to the Family Room & Sun Room it also has direct access to dining room & attached two-car garage for everyday ease. Fireplaced Family room w/hardwood floors and sliding glass doors to private, backyard oasis w/substantial patio and over-sized in-ground pool. Sun Room has extra-large Pella windows, cathedral ceilings and boasts 2 sets of sliding glass doors to both the landscaped back yard, and the pool & patio area, providing easy access throughout the property. With room for sitting area, firepit, dining table and lounge chairs, the considerable patio becomes part of the space for true indoor/outdoor living, creating wonderful flow for entertaining! Private Master with en-suite bath has sizable walk-in closet, for true master suite. Property has Spacious Bedrooms, Washer/Dryer Hook-up on main level, Hardwood Floors, extra-large Pella Windows, Underground Sprinkler System, Shed, Whole House Fan & Central Vac. Well-lit full basement w/ interior and exterior access has ample storage & could be easily finished to your own specifications. 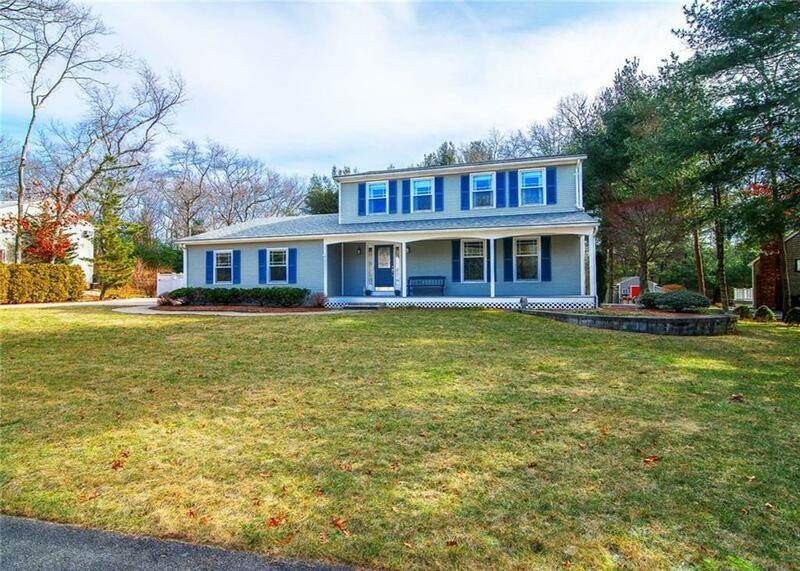 Private, wooded lot with beautiful grounds in wonderful, safe neighborhood makes coming home a treat! 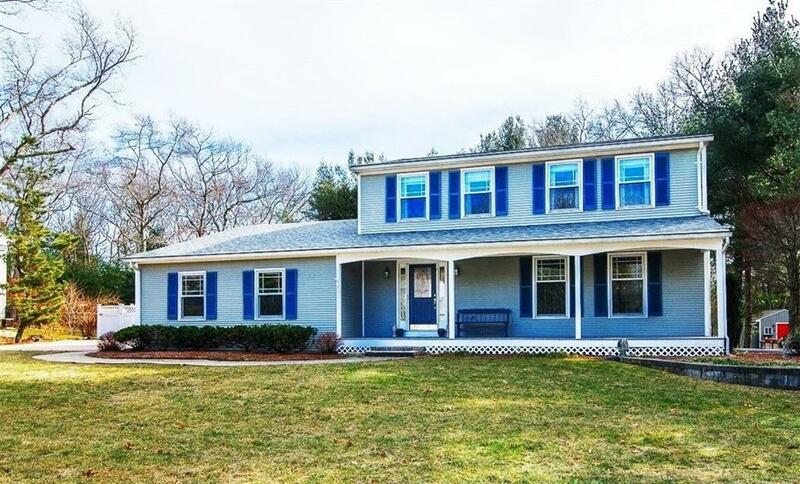 Convenient location with easy highway access close to shopping, restaurants, and Johnsons Pond. Well worth seeing! !